Each day, we see more irrefutable evidence that our global food system is broken. Soils erode, fisheries collapse, forests shrink, heart diseases rise. Studies show a new way of organic and regenerative farming is necessary to meet the challenges of the future. But what about a new way of eating? Can the principles of regenerative agriculture be applied to our plates and our palates? What are the systemic implications for health, sustainability, business and ethics? 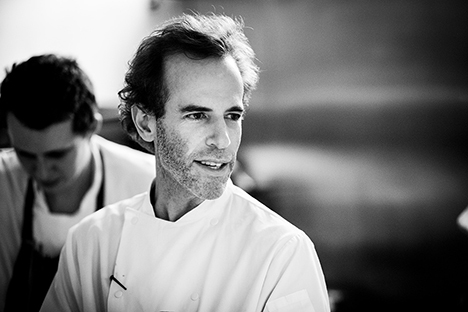 Join Chef Dan Barber in conversation with Haas Social Impact Fellow, Will Rosenzweig, as they explore the possibilities for regenerative cooking. From seeds to soil health to stem-to-root eating, Barber envisions a new type of menu that sustains the land and our diets. Co-sponsored by the Berkeley Haas Center for Responsible Business, Food@Haas Club and the Berkeley Food Institute.